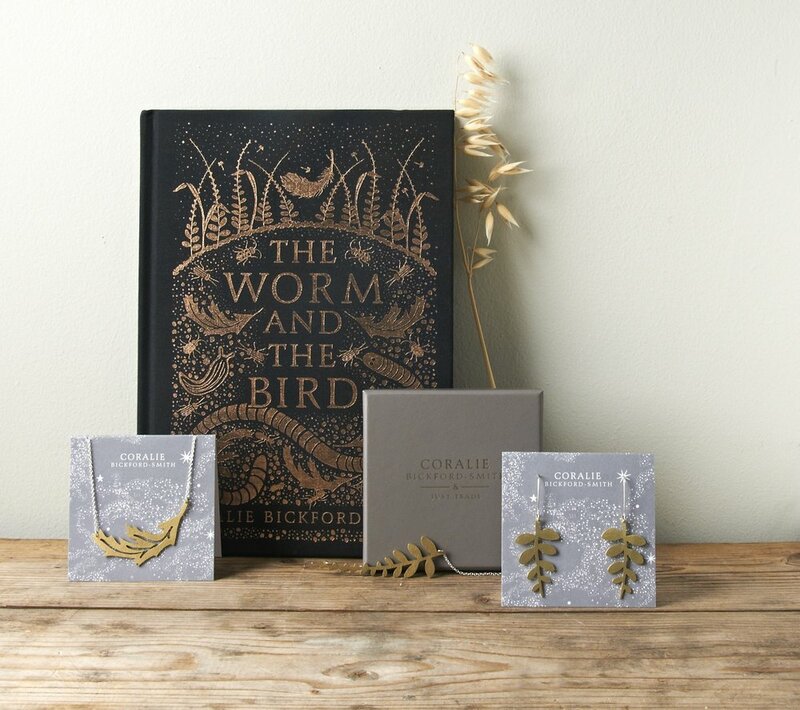 I collaborated with the amazing company Just Trade to produce a range of pieces that are inspired by The Worm and the Bird! Just Trade collaborates with artisans around the world to create stylish, desirable handmade jewellery and accessories. 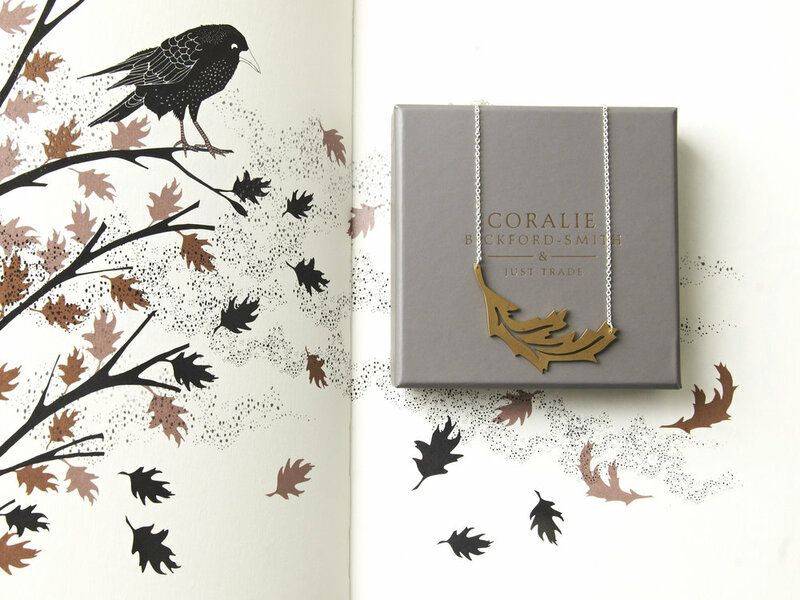 Founded in 2006 by jewellery designer Laura Cave, Just Trade is a collaborative, innovative brand. Born out of first hand contact with real people in the developing world and the recognition that in order for small Fair Trade projects to be sustainable, they need a long-term route to market for their goods. Just Trade now works with eight groups of artisans in Peru, Ecuador, India and Vietnam. Combining traditional craft skills and materials with expert knowledge of contemporary jewellery and accessories, we have developed ranges of unique, characterful pieces with strong appeal in the European market. From exquisite crocheted silverwork to beautifully carved tagua pendants, our distinctive products are made with care and skill from locally-sourced and ethical materials where possible. I have just done a second collaboration with Just Trade. My first foray into printed fabrics. The fern inspired design is hand screen printed in gold pigment on a premium linen-cotton mix before being skilfully constructed by artisans in Hanoi, Vietnam. This beautifully made range is easy to care for and long lasting. I collaborate with Just Trade because of the incredible work they do to with creative people around the world and any profit from my designs goes straight back into helping Just Trade support the artisans that create the pieces. Click here to find out more about the new products.